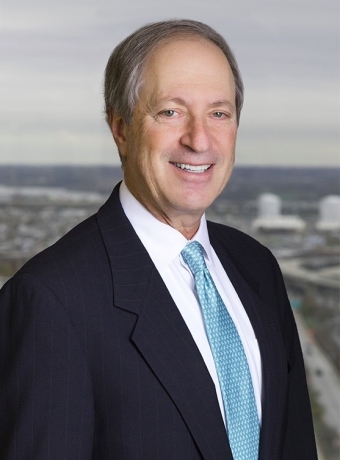 John E. Baum serves as Of Counsel to the Firm. Mr. Baum represents a variety of businesses ranging from closely held family owned entities to publicly traded companies. Mr. Baum works closely with executives and business owners in advising them in financial transactions, entity formation, mergers, acquisitions and dispositions, contract and lease negotiations, and business and succession planning. Mr. Baum's clients have offices and plants throughout the United States and offshore. In addition to his law practice, Mr. Baum is President of Bakery Express Management Group, which is the management company for five affiliated bakery plants located in Maryland, Florida, Texas, and California. From a business owner’s stand point, his involvement provides a practical perspective in advising his business clients. Mr. Baum has lectured on the subject of corporate and business law for the National Business Institute, The Maryland Institute for Continuing Professional Education of Lawyers (MICPEL), and The Greater Baltimore Board of Realtors. Mr. Baum recently successfully represented a business owner in the sale of a business in which payment to the owner involved a complex combination of cash, stock, and earn out consideration. Mr. Baum is currently representing a manufacturing company in all aspects of its expansion in various regions of the country. On an ongoing basis, Mr. Baum is working closely with a client on matters pertaining to the transition of management from one generation to the next.